This site was established in 2001 and is known as a social bookmarking site. It helps in the distribution of site contents where users StumbleUpon different web pages recommended by their friends. Users can rate a site by giving it a thumb up. Once they thumb it up, then it will automatically become their favourite. If you dislike a certain site, then you can give it a thumb down. If you want to make the most out of this site, then you need to have StumbleUpon toolbars installed within your browser. The only browsers where you can install its toolbar are Firefox, Google Chrome and Windows Explorer. One of the main reasons why this social media has gained its popularity since its introduction to the World Wide Web, is because of its ease of use. Using the tool menu, you need to choose which control you want to use, such as Stumble. Once you click this control, then a web page will be displayed. There is the “I like it” button that you can use to vote on a particular web page. Once your site gains a lot of likes, then it will become popular among other stumble users. Anyone will gain interest and will become curious enough to visit your website. Once they find your site interesting, then you will surely get a thumbs up. You will also find a Share button that can help you interact with your Twitter followers and Facebook fans. With the help of this option, it will widen your network and more and more people will find your site. You need to do your part as a website owner to make sure that your website is really interesting and can provide useful information. A simple dislike will ruin everything. 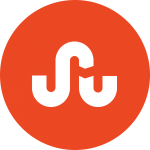 Another thing that you will like about StumbleUpon is that you can seamlessly stumble with other sites like WordPress, YouTube, Flickr, CNN, MySpace and any more. These sites are called Channels. You will find options that will allow you to share photos and videos the easy way. Many users of such sites are having a great time stumbling. 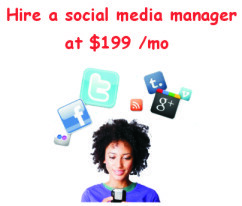 From the business point of view, this social media platform is a very powerful tool that can boost website traffic. Every single day, StumbleUpon attracts new stumblers that can rate sites and make sensible reviews. Many internet users will encounter your site in a myriad of ways. Once they see something that captures their attention, then they will check on that page. Your website will be added to the large database of StumbleUpon. They can share and thumbs up that will increase the popularity of your website. That is how this site can help you increase your website traffic. All websites are trying to acquire a huge amount of traffic, because they want to land on the first page of different search engines. This is very important if they want to acquire more online presence. StumbleUpon is an effective social media marketing tool if you know how to use it to your advantage.